Sometimes it’s valuable to get a second opinion from an expert if only to confirm you are on the right track. The AHRECS team bring together more than 70 years of experience working as research ethics advisers, research ethics committee members and Chairs, ethics officers and researchers. Our experience covers a very wide range of disciplines, research designs and methodologies, potential participant pools and contexts. (iii) providing confidentialadvice during the initial consideration of a research integrity proceeding (e.g. a dispute between coauthors). AHRECS has been commissioned to advise research ethics committees, researchers and research offices. Typically, such work can be delivered within four days. This advice has included drafting review feedback, feedback responses, and subsequent strategies. As appropriate our advice has included academic references. 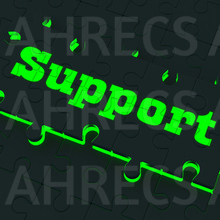 Before commencing such work, AHRECS provides a costed proposal.